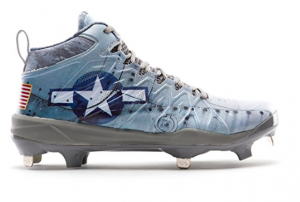 Our favorite looking item for this memorial day is the squadron spike cleats from Boombah. Memorial day weekend isn’t just the day to get deals on furniture. Baseball and softball equipment, especially the bats, go through an interesting shift on Memorial day. (See our buying guide for what to buy when). What is Off MAP Pricing? As most bats were released around September of the previous year, manufactures often remove MAP pricing around Memorial day. That means, it is often the first time you can buy bats from a legit company below the MSRP. in other words, discounts! A lot of these deals end up on Amazon’s sports deals page. However, most you’ll need to go directly to the vendor/manufacturer site. We link and list those below. Has a few bats a gloves at prices we’ve never seen. Some Americana themed bats and military items including wraps, gloves, catcher’s gear and more. Exclusive: 10% off everything over $125. Use the coupon Code: HERO. 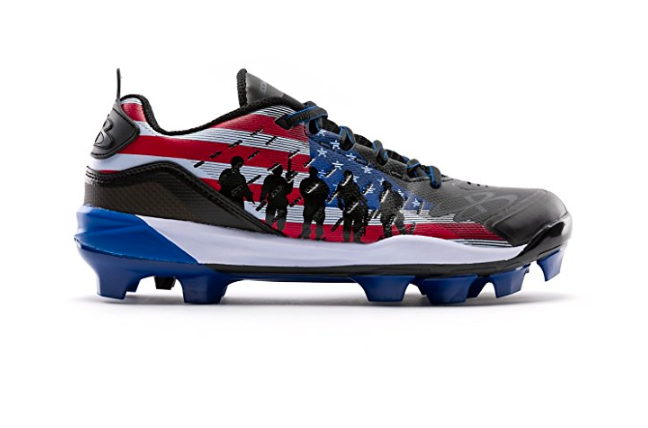 Boombah is crushing it with their memorial day apparel. All of DeMarini’s Fastpitch bats have come off of MAP pricing. See Slugger’s wood bat bundle deals. More deals are coming this weekend, but they do have a commemorative baseball that will be used this weekend.